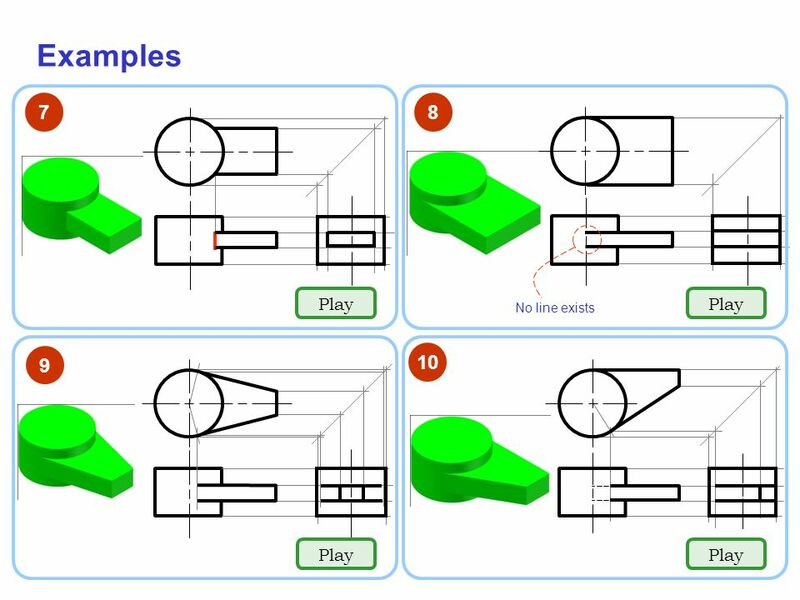 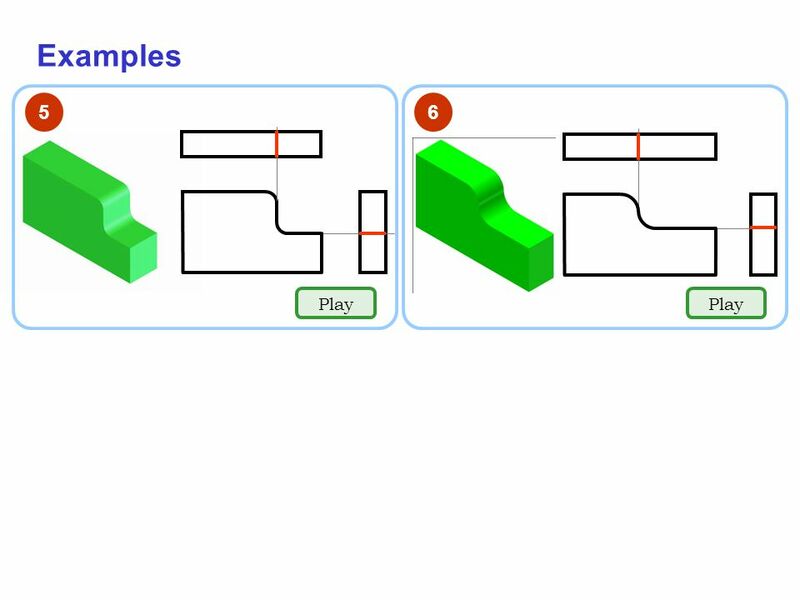 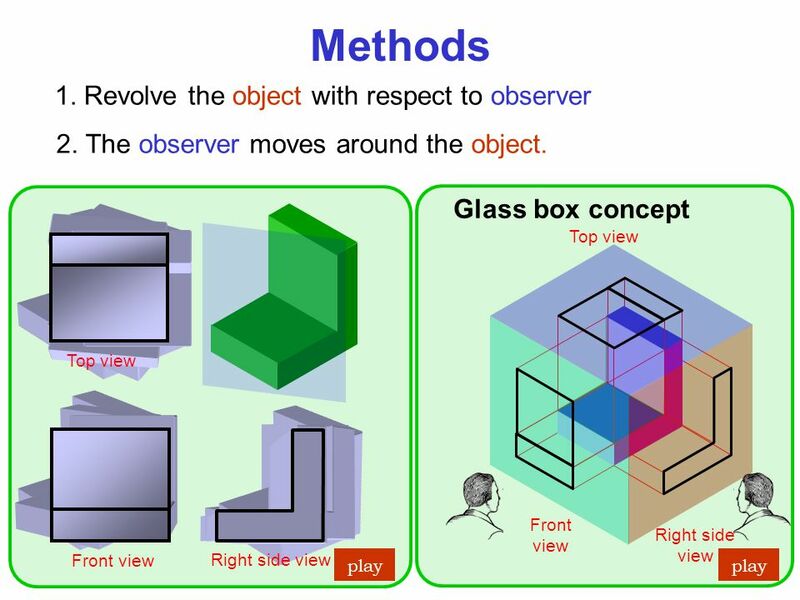 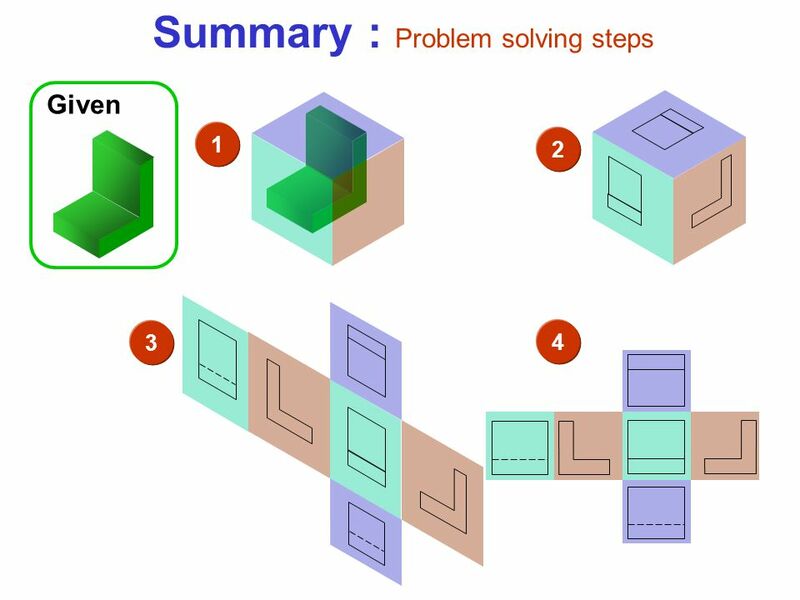 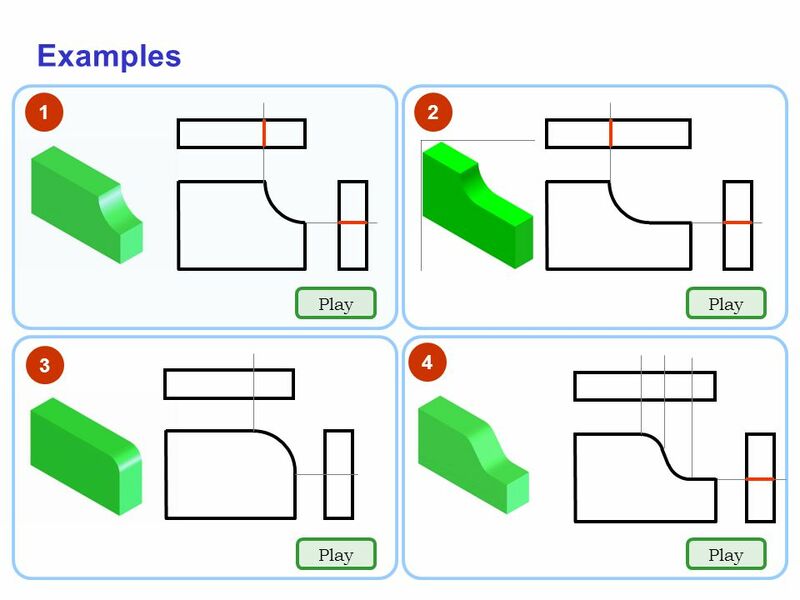 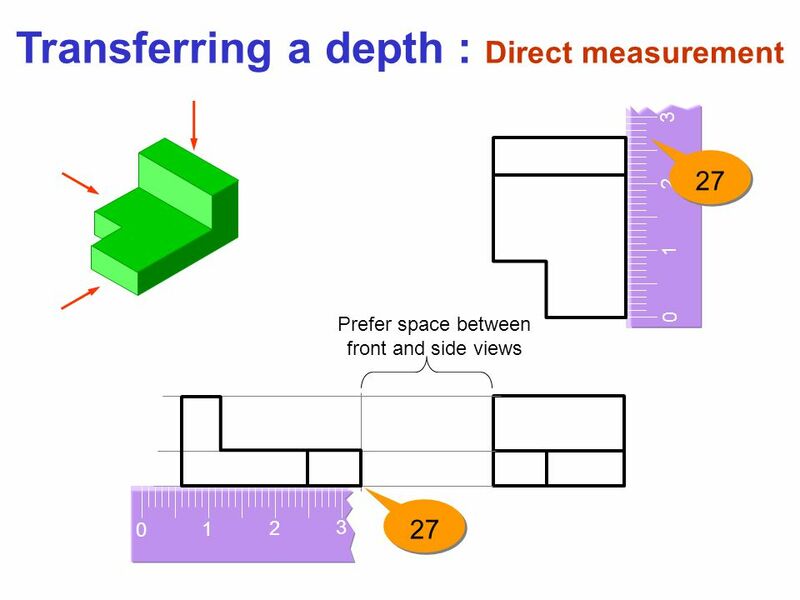 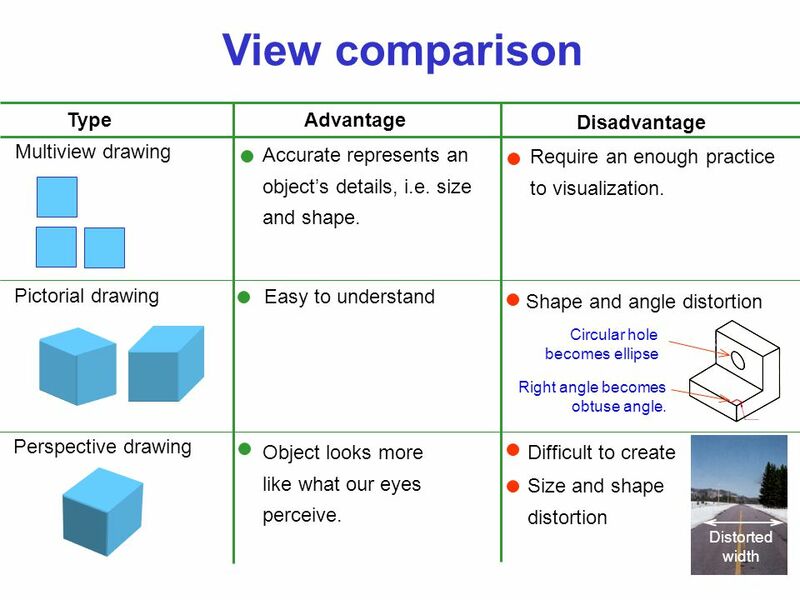 To graphically represent a 3-D object on 2-D media (paper, screen etc.) 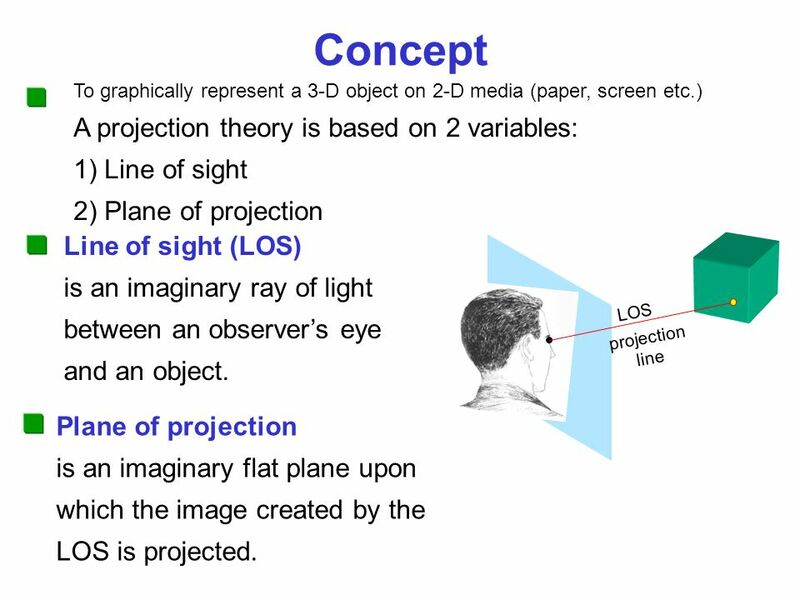 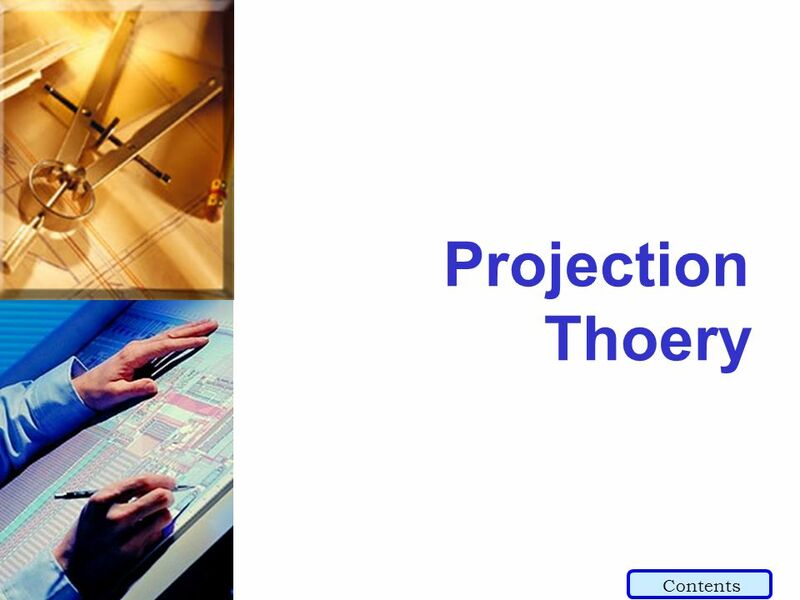 A projection theory is based on 2 variables: 1) Line of sight 2) Plane of projection Line of sight (LOS) is an imaginary ray of light between an observer’s eye and an object. 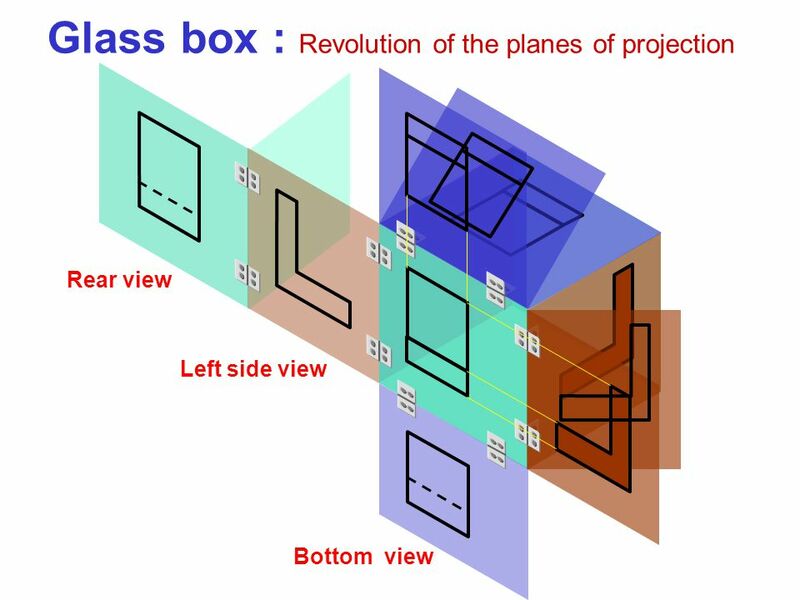 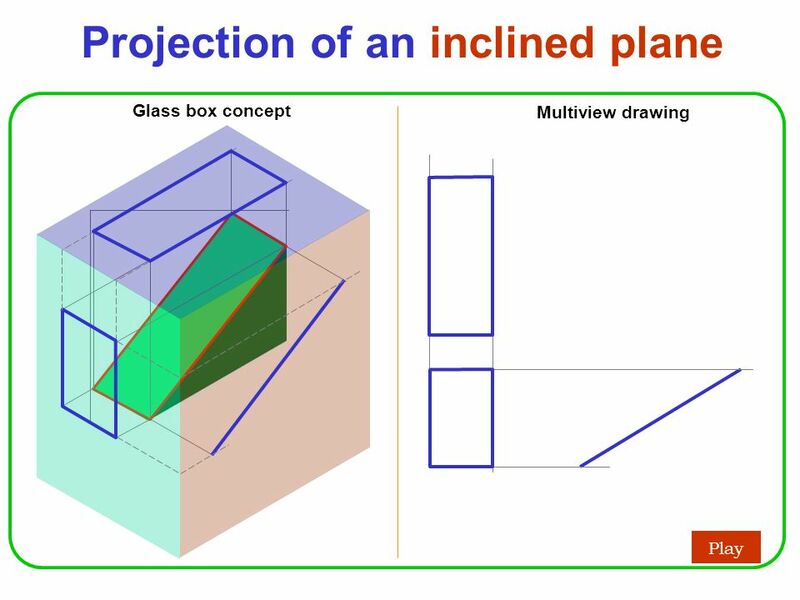 LOS projection line Plane of projection is an imaginary flat plane upon which the image created by the LOS is projected. 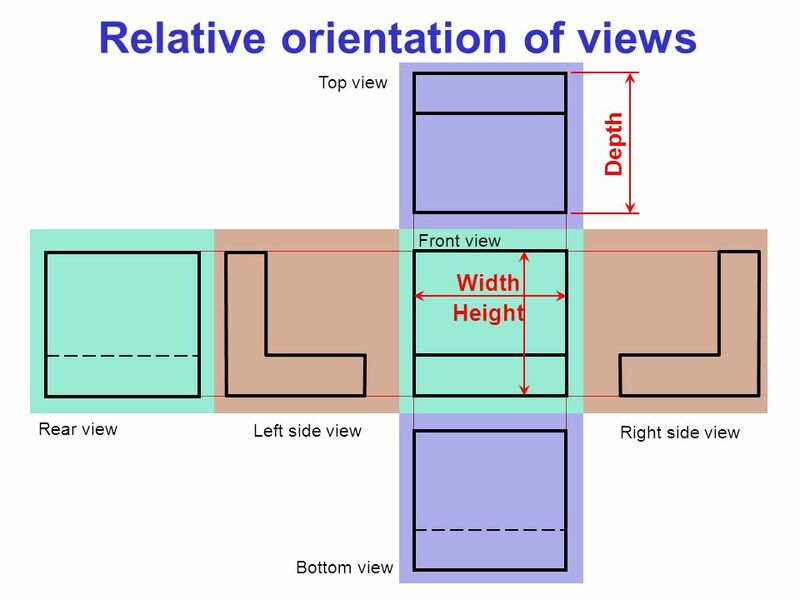 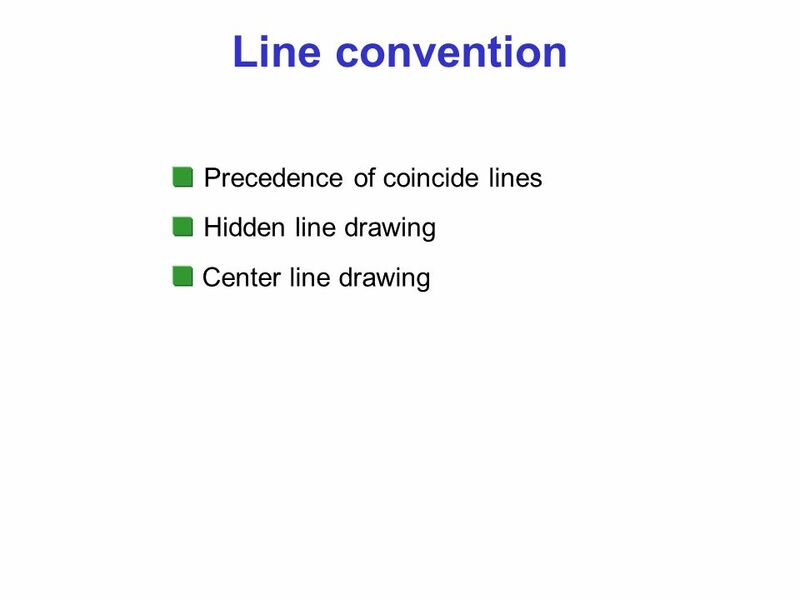 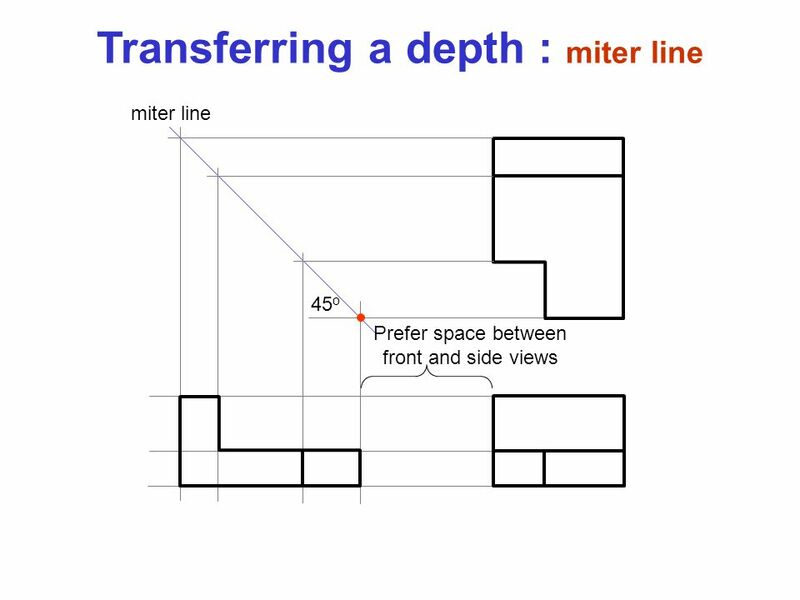 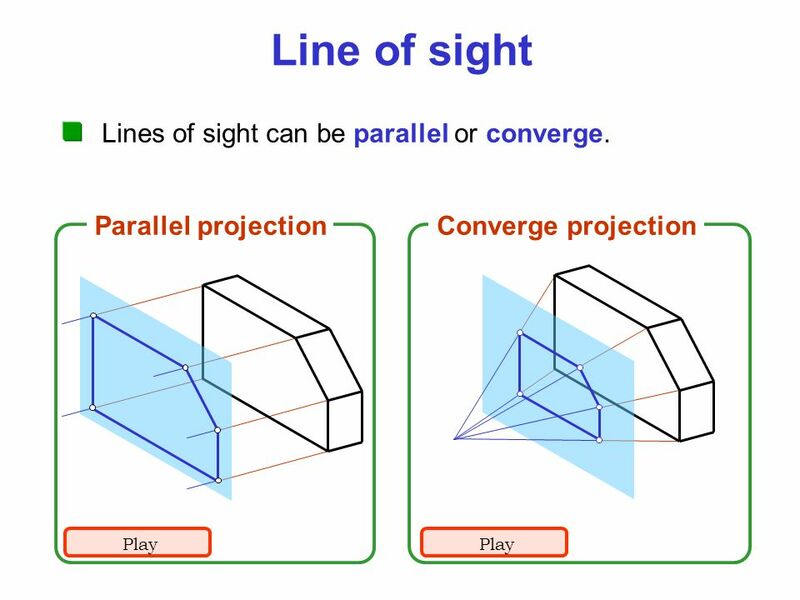 5 Line of sight Lines of sight can be parallel or converge. 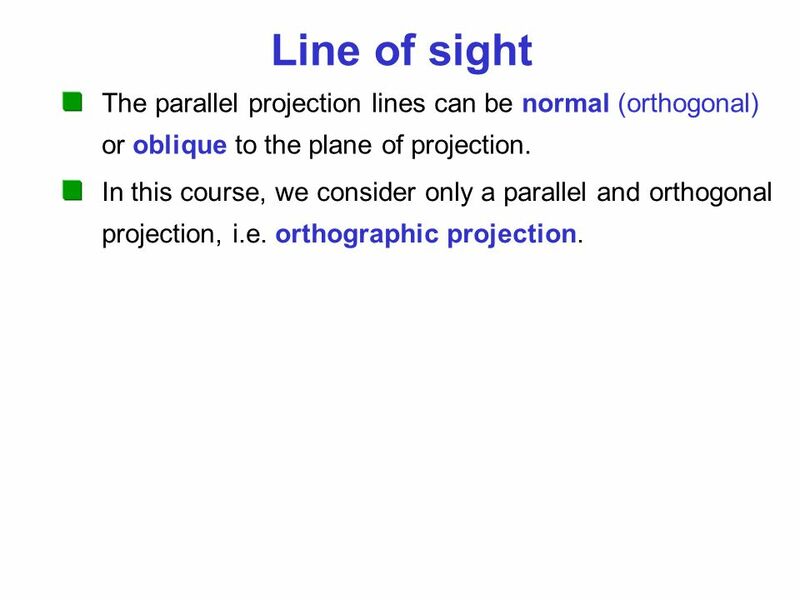 6 Line of sight The parallel projection lines can be normal (orthogonal) or oblique to the plane of projection. 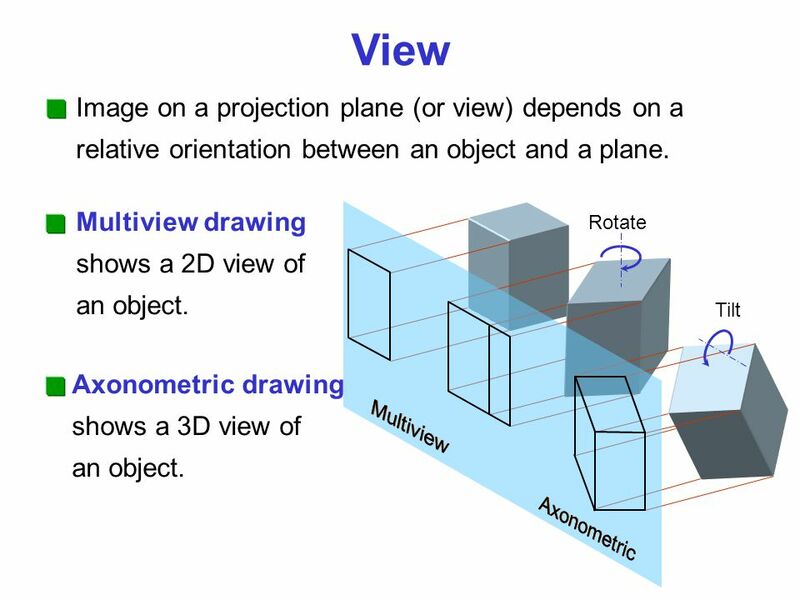 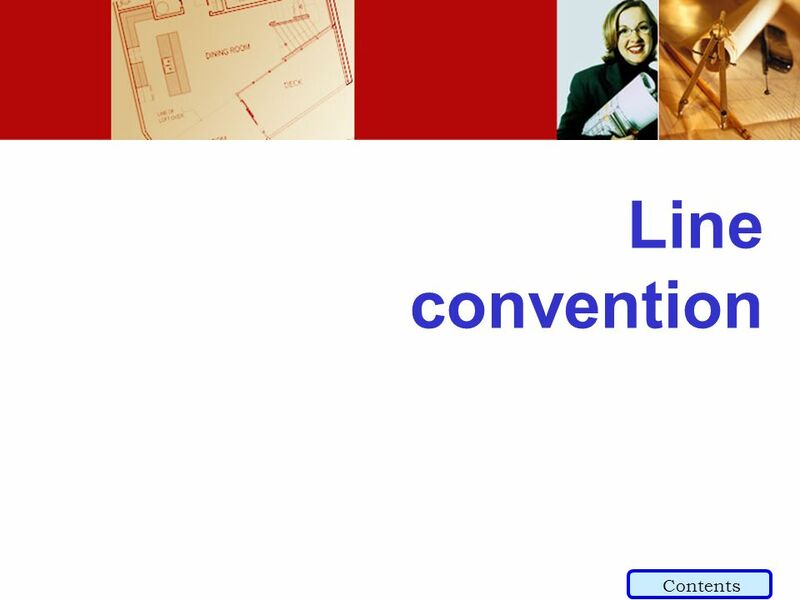 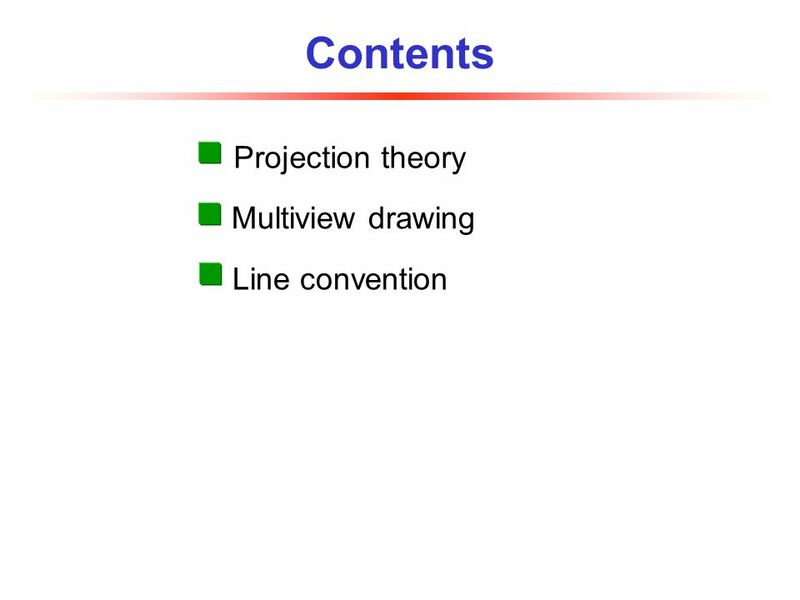 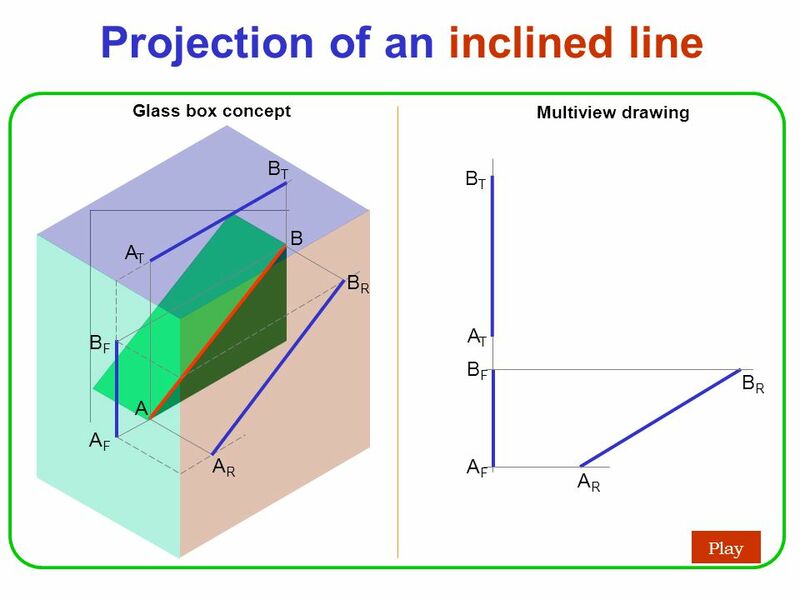 In this course, we consider only a parallel and orthogonal projection, i.e. 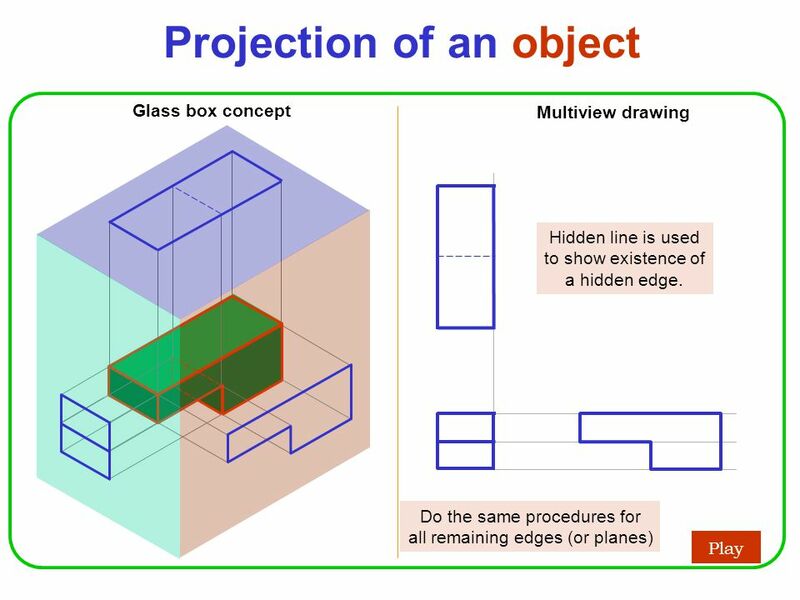 orthographic projection. 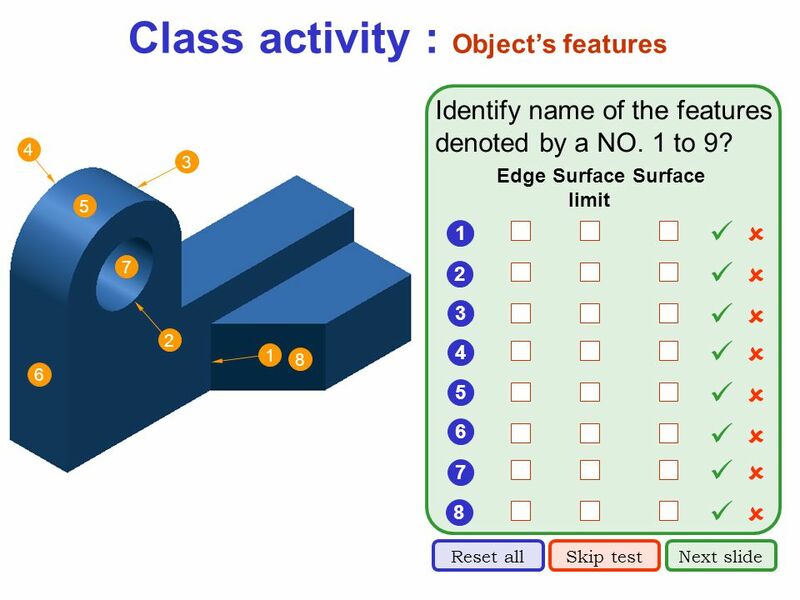 16 Object features Edge is a line that represent the boundary between two faces of an object. 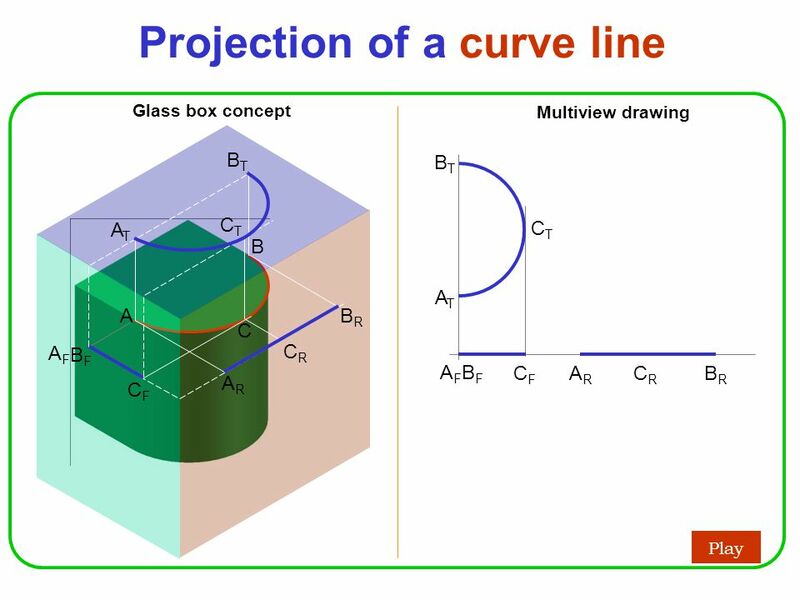 Surface limit is a line that represents the last visible part of the curve surface. 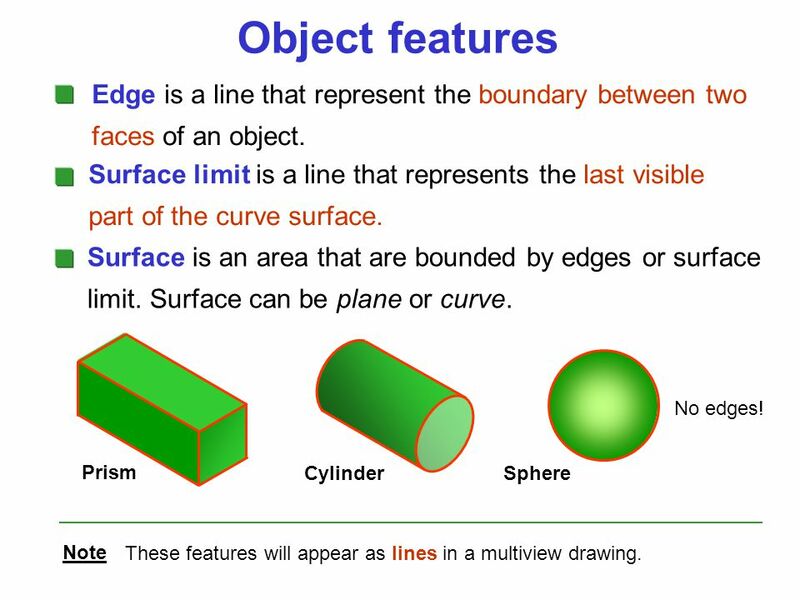 Surface is an area that are bounded by edges or surface limit. 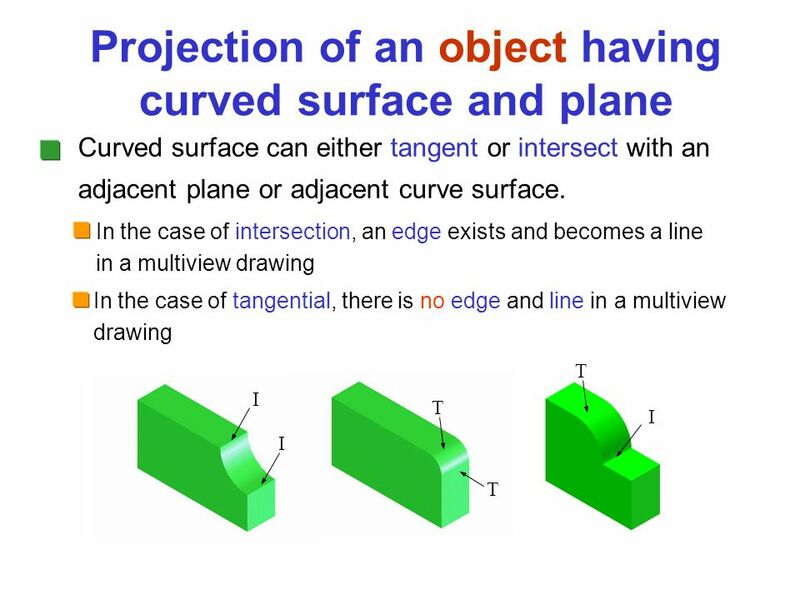 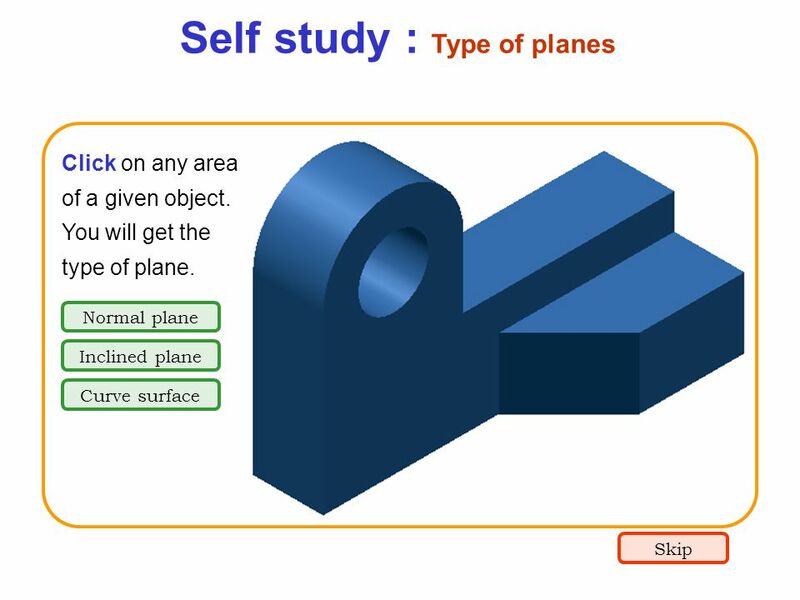 Surface can be plane or curve. 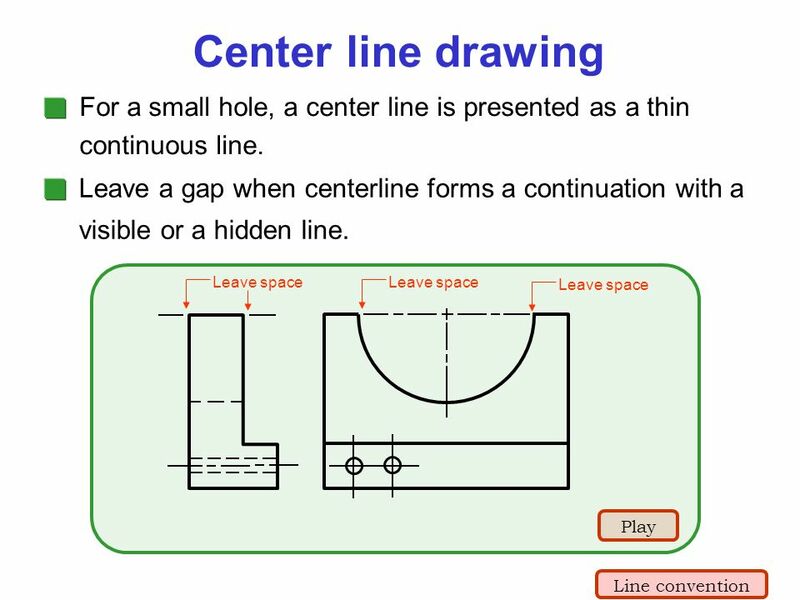 No edges! 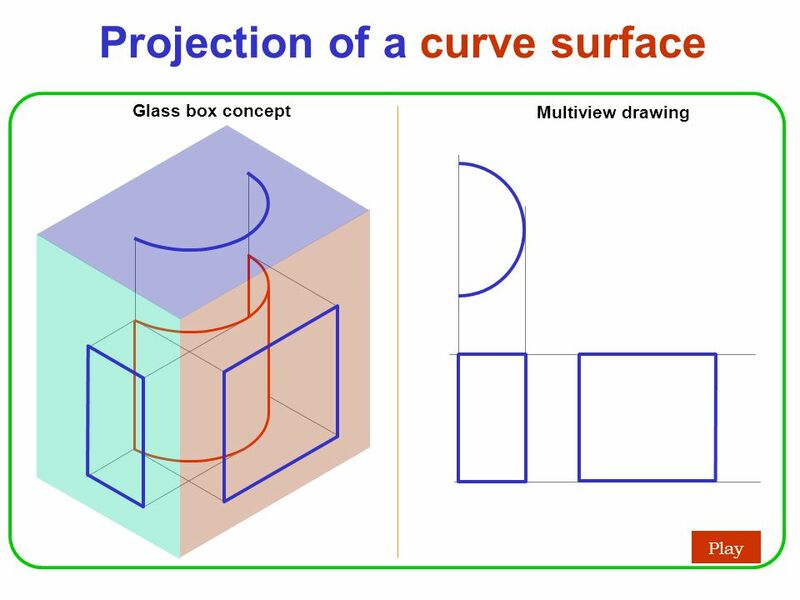 Prism Cylinder Sphere Note These features will appear as lines in a multiview drawing. 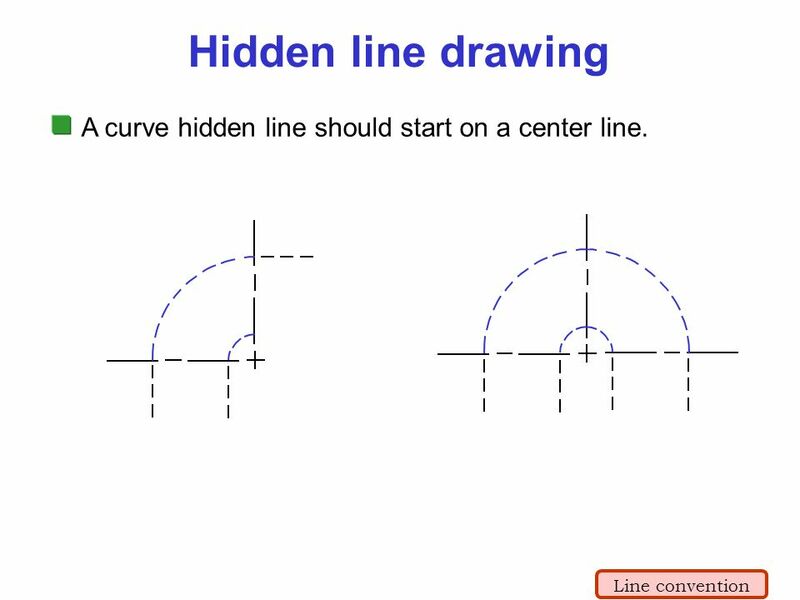 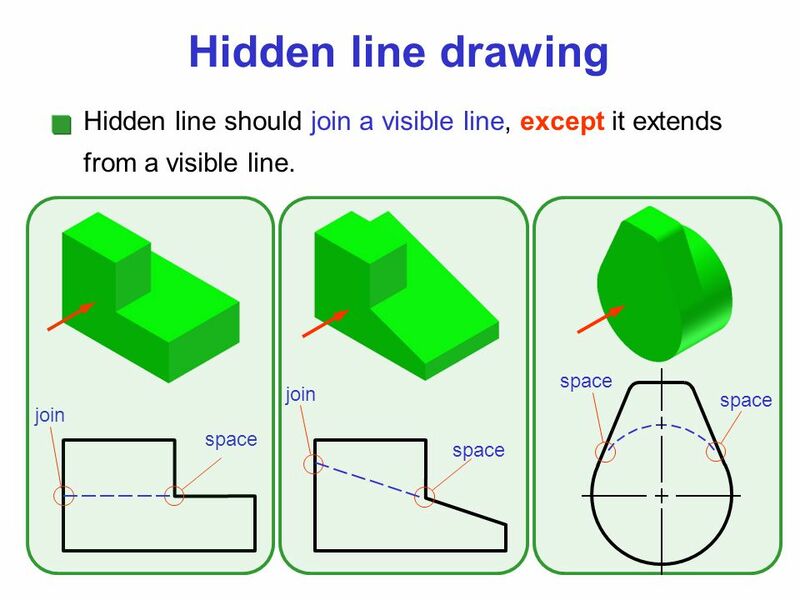 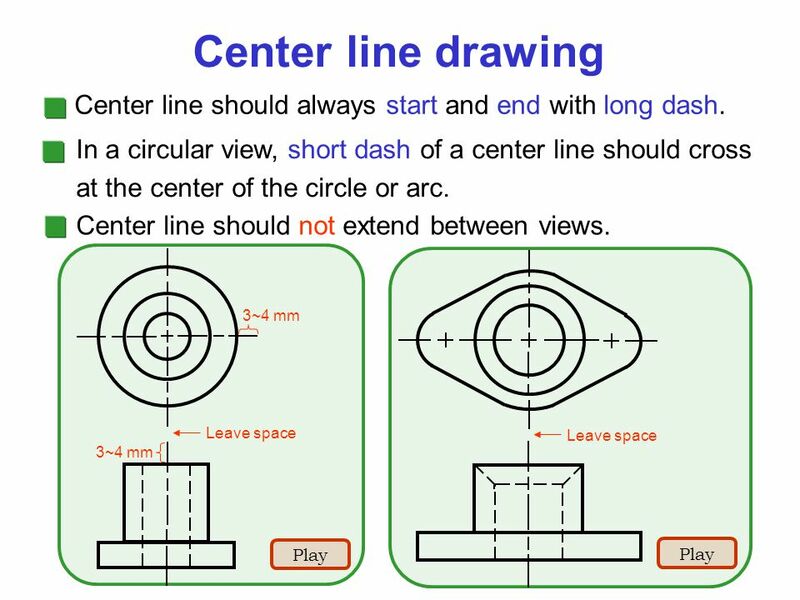 36 Hidden line drawing A curve hidden line should start on a center line. 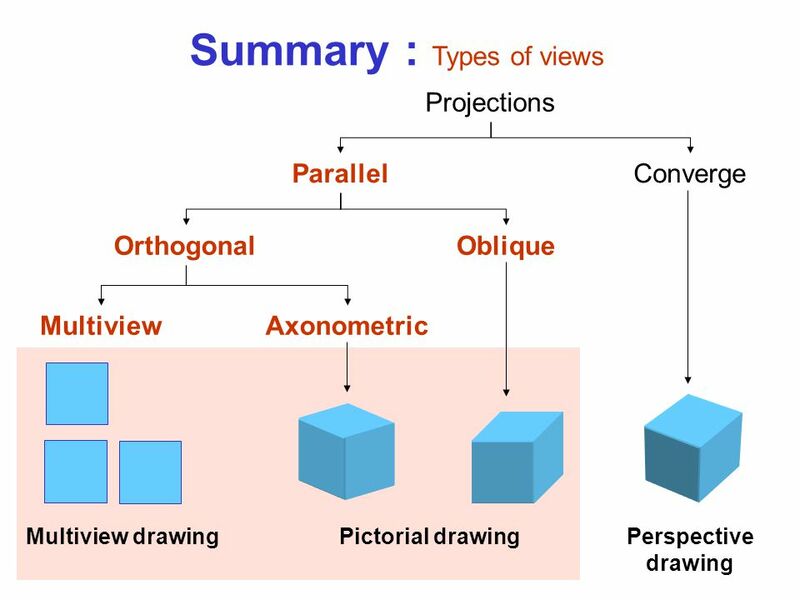 Download ppt "Lecture 2 Orthographic Projection." 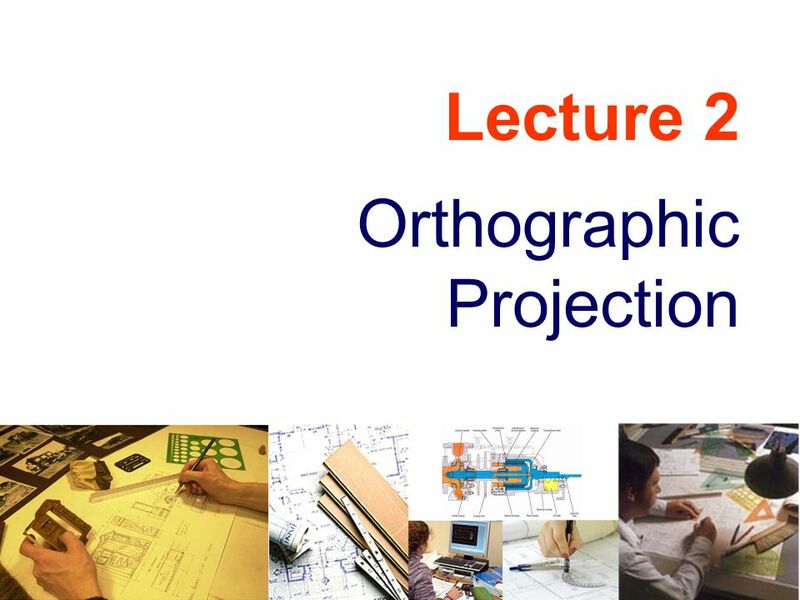 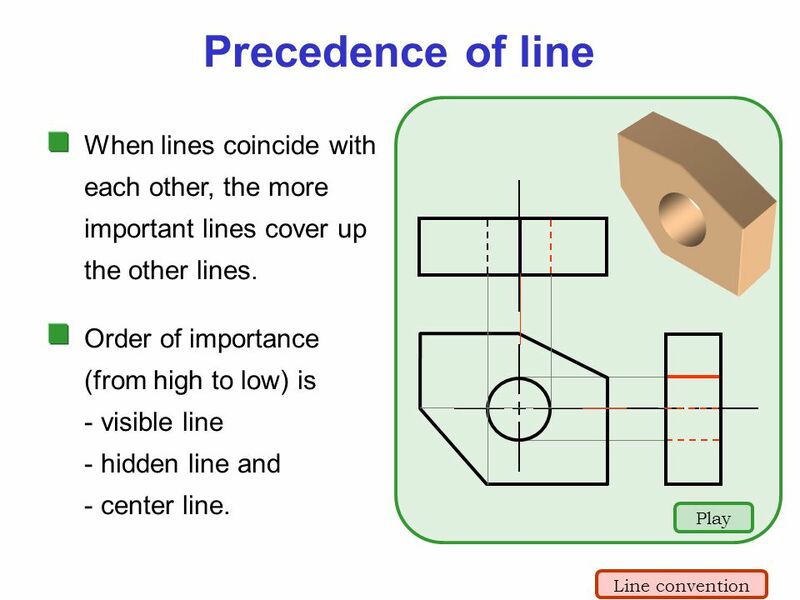 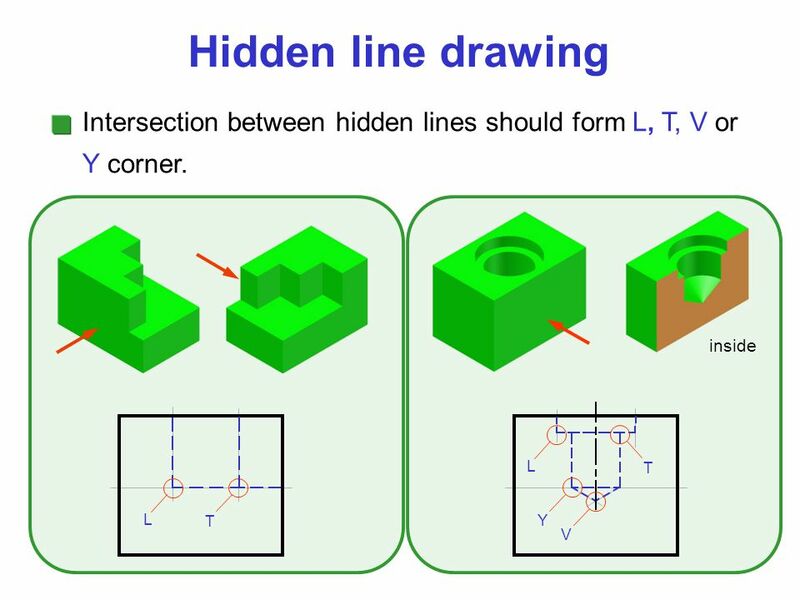 Lecture 3 Sunday, 03 May ENGINEERING GRAPHICS 1E7 Lecture 3: Orthographic Projections. 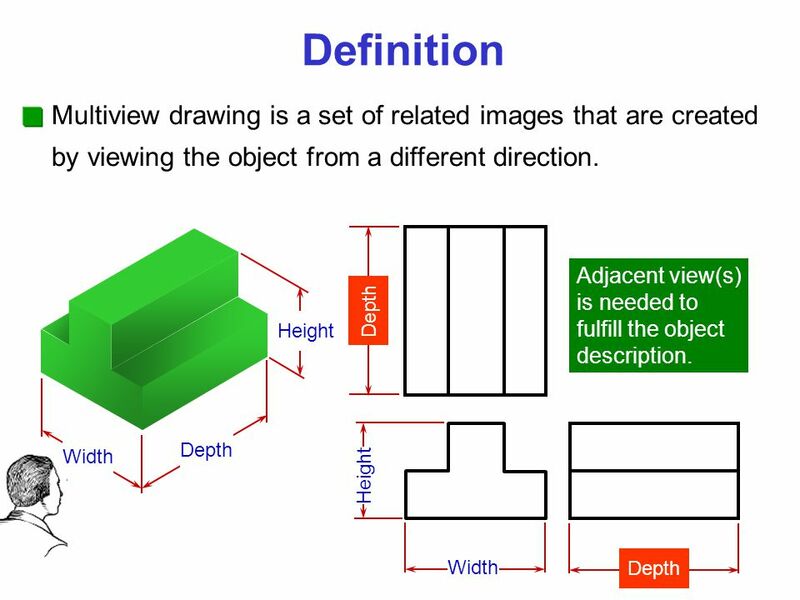 OBLIQUE VIEWS Oblique drawings provide a quick way to sketch an object and represent the three dimensions of height, width and depth. 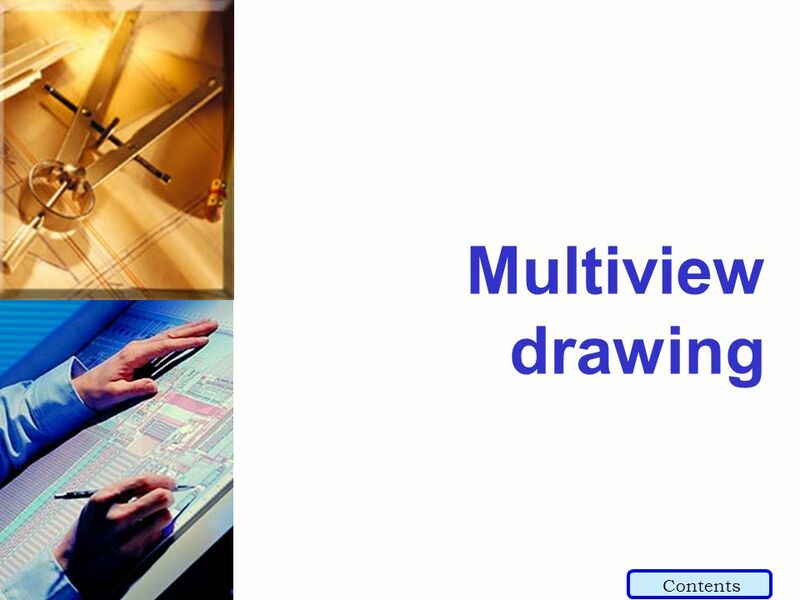 Oblique drawings.